NEW BRITAIN - The Innovation girls volleyball team is heading into the Class M state tournament with some hardware. In a match the Ravens seemed poised to win since the beginning of the season, Innovation swept Aerospace 3-0 Thursday evening for its second straight CRAL Tournament title. The Ravens (19-3) won by set scores of 25-19, 25-14 and 25-20 on their home floor. 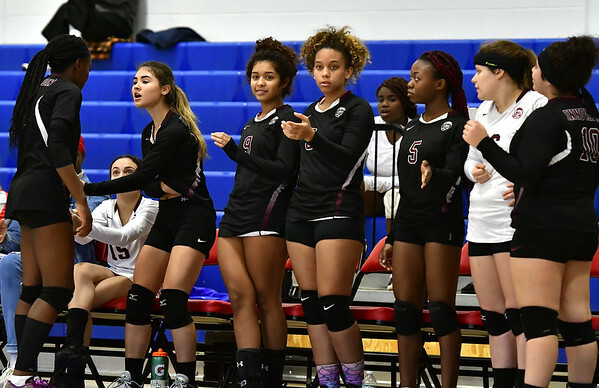 Morgan Sartor (13 digs, 4 aces), Danelys Baez-Arroyo (8 digs, 3 aces, 5 kills) and Kenia Hernandez (5 digs, 3 service aces) helped lead the way for the Ravens in the win. All there is for Innovation to do now is to wait for its state tournament draw after securing the No. 4 seed. And Lance believes his players are more than ready for the teams that lie ahead. Posted in New Britain Herald, Innovation on Thursday, 1 November 2018 21:04. Updated: Thursday, 1 November 2018 21:07.